Another Chiltern league cross country race to look forward today after partying the previous night. Fortunately, I’d managed to get around 6 and a half hours of sleep – not as ideal as 8 hours, but it would suffice as I was pretty alert the whole day. I started the morning with an easy 3.49km jog incorporating some strides. My legs had felt a bit heavy in the last couple of days despite resting which seemed rather unusual so I injected some speed by doing strides into my easy run and felt quite good. After, I had my usual breakfast consisting of 4 microwaved eggs, a variety of nuts, lots of steamed vegetables (carrots, cauliflower, cabbage, kale) and (not part of my usual breakfast), 75g of dark chocolate and a whey protein shake. After arriving at the race venue, I walked parts of the course just to familiarise myself with the route – I had 9.2km to run and one big hill to tackle at the end. I jogged 3km for my warm up before doing some running drills and putting my spikes on, ready to race. As I stood on the start line, I looked around thinking ‘I feel way too young to be racing against these people’. I’m stood on the inside of the start and bang the gun goes off (luckily I’m on the opposite side to the gun so my ears aren’t defeaned). I try to be very alert and aware of how I’m feeling – how my body feels and to make sure I go out fast enough to get away from the runners behind me, but not so fast I burn up mid-race. 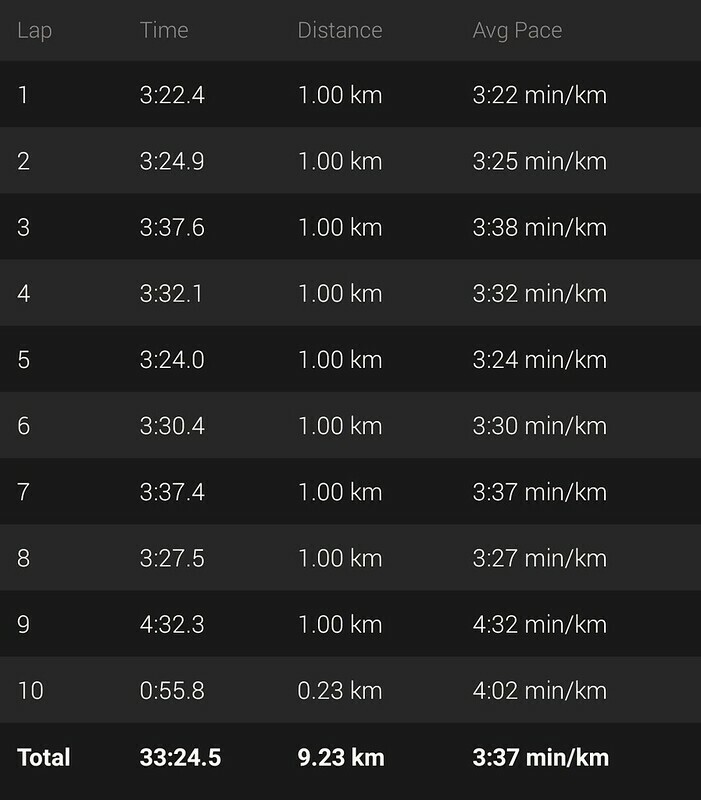 9k is a long way to go after all, or at least it is for me, and I certainly don’t want to have my muscles screaming in agony from 6km onwards, slowing down for the rest of the race. I move forwards through the field focusing on the runners in front, making sure I’m always gaining on them after the first 500m into the race when everyone has settled into their pace. Slowly, I’m moving my way up the field. My watch beeps – I glance cautiously to see a 3:22 km split. Fast, but sustainable if I put my mind to it. I think to myself, ‘this is a good pace’. The two of us move through the field picking people off one by one. It’s hard, but its good to have a teammate to work with. Sometimes it’s me in front, usually him. At 6km we catch another Bedford runner, Craig Emmerson and go in front. It’s shortly before we head downhill (in preparation for the dreaded uphill). Joe lets me through first as I’m on the inside. The ground levels out for about 200m and goes downhill once again, where Joe speeds past me downhill. I chase him and stay on his tail where it’s flat until we reach the hill. I’m pushing my way past him as he’s staggering to a walk for about one or two steps before getting himself going again. He’s encouraging myself and Craig to push onwards. I persist uphill, feeling my legs becoming more and more fatigued. Craig passes me and so does another runner, drifting further and further away. I try to push as much as I can despite feeling that I won’t be able to catch them. Regardless, I know I need to try and push myself through this pain barrier at the end so I kick as hard as I can and finish in 33:11. Overall, I finished 34th which I was very pleased with, coming 23rd in division 1 of the Chiltern league which is a big improvement over 41st at the 2nd Chiltern League. I’m very happy with how the race went and I’m sure my results in races will only get better as I persist with my training and am careful not to get injured. Did you race this weekend? How did it go? Let me know down below! PreviousWhat Is The Food Insulin Index? Should Runners Do Static Stretching?